Roshni Step into the Light identifies, acknowledges and supports New American cultures and artistic traditions. 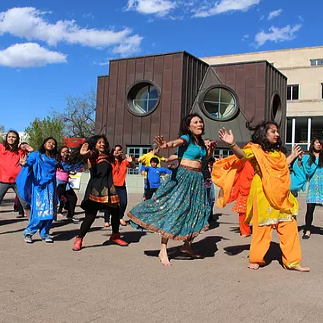 Roshni endeavors to create artistic endeavors with the intention to empower women, specifically mothers, and offers artistic activities and experiences for the whole family. The organization collaborates with local schools to offer classes in diverse dance and theatre traditions, and creates performances that encourage family participation and access to all. The organization also identifies, recruits and trains potential artist residents, offering professional guidance and support.